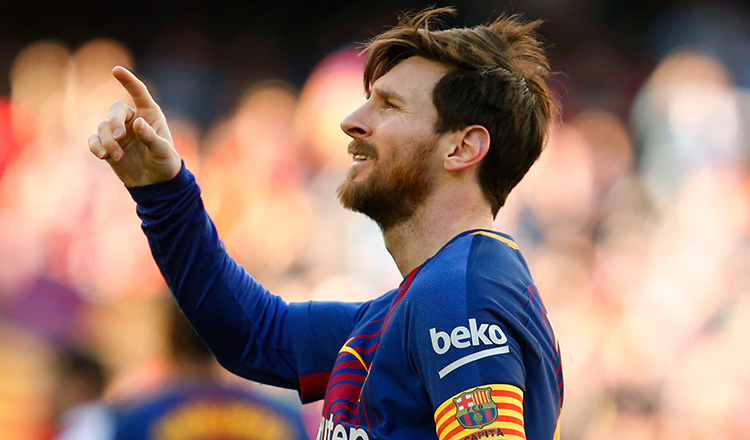 BARCELONA (Reuters) – Lionel Messi became the first man to score 400 La Liga goals as Barcelona eased to a 3-0 win at home to Eibar on Sunday which kept the Catalans five points clear at the top of the standings at the halfway point of the season. Luis Suarez, who scored twice, helped tee up Messi’s landmark goal, which came in the 53rd minute of the Argentine’s 435th league appearance for Barca and saw the league’s top scorer increase his tally to 17 goals in 17 games this campaign. “His numbers are stratospheric, they are incredible, but it’s not just the goals, it’s everything else he does too,” said Barca coach Ernesto Valverde, in praise of his talismanic forward. Suarez had given Barca the lead in the 19th minute by completing a superb team move involving Messi and his former Liverpool team mate Philippe Coutinho, who returned to the starting line up for the first time in four league games. The Uruguayan again combined with Coutinho to set up the historic goal for Messi. It was another remarkable milestone for Messi, who has been the league’s leading scorer since 2014, with Cristiano Ronaldo next on the list with 311 goals. Eibar had been stubborn opponents in the first half but began to cave in after the interval, with Suarez striking again six minutes later, converting from a tight angle with the aid of a deflection off an unfortunate visiting defender. 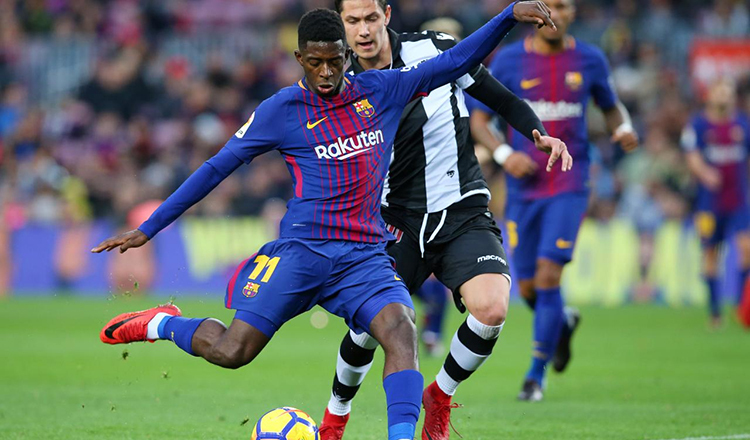 Barca, under pressure to win after Atletico Madrid had briefly reduced the gap to two points by beating Levante 1-0 earlier on Sunday, moved on to 43 points after 19 games. Suarez’s goals took him on to 14 league strikes for the season and means he and close friend Messi have scored a remarkable 31 times between them this season – more than the total goal tallies of 17 teams in the league. “Eibar are a very competitive team, they made it hard for us to create chances but we also knew that we could overwhelm them in attack and that’s what we did eventually. Once we scored, the game opened up for us” said Suarez. 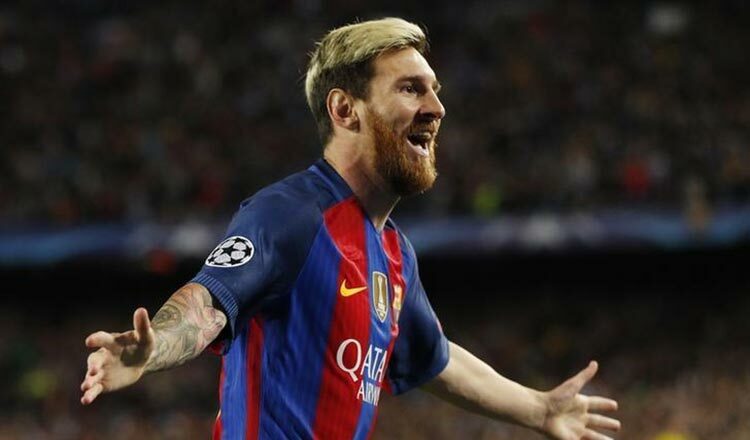 The Uruguayan also heaped praise on Messi on yet another momentous night for the Argentine. “Obviously, we have to be proud of Messi because every week he demonstrates how good he is and continues to make history,” he said.